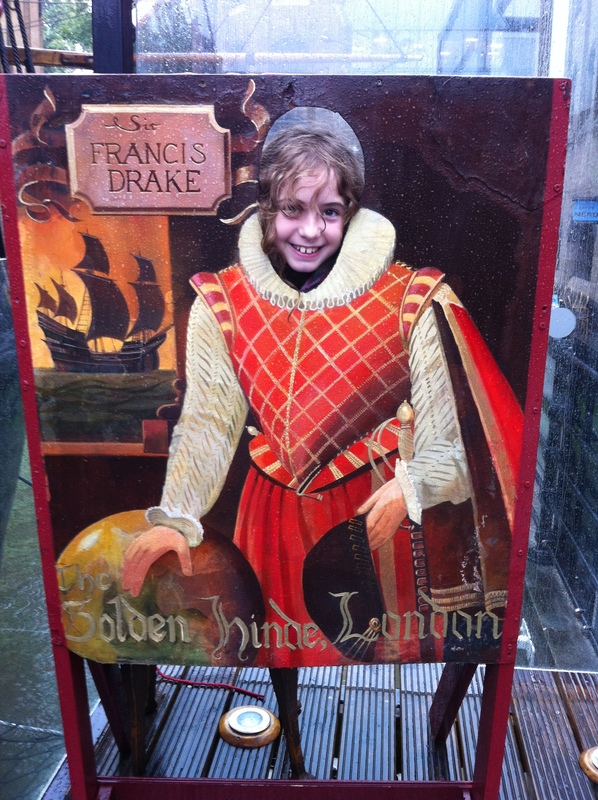 My Mummy booked me a day on The Golden Hinde to be a real life Tudor Sailor. 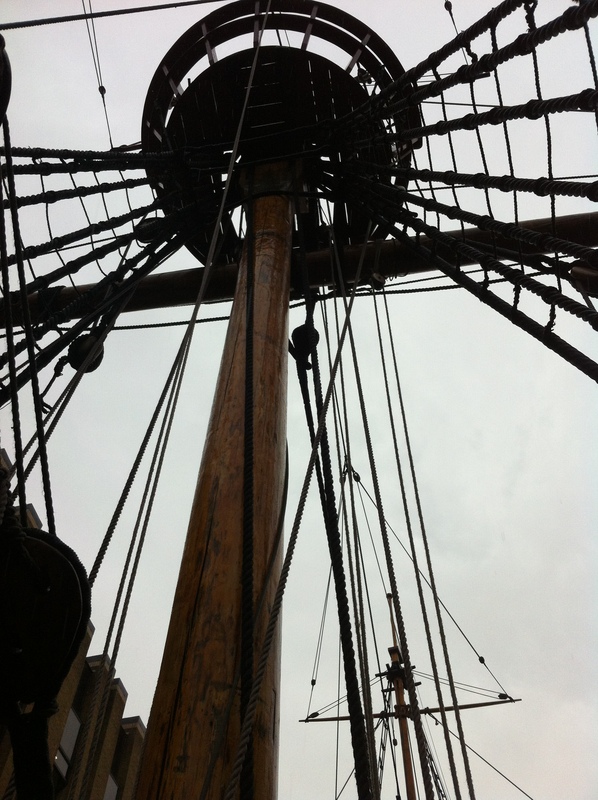 When we got there though, the rain was coming down so forcefully, we could have been at sea in a storm! We thought we heard a cannon go off, but it was only thunder! They wanted to cancel the tour because nobody else had turned up, but they did it just for us in the end! It was really special. 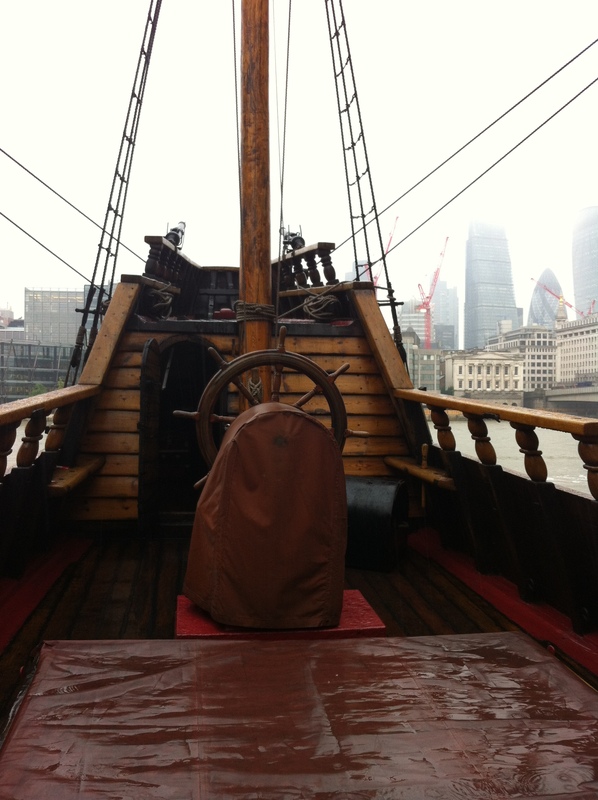 On board the ship I found out what it was like to be a Tudor sailor. 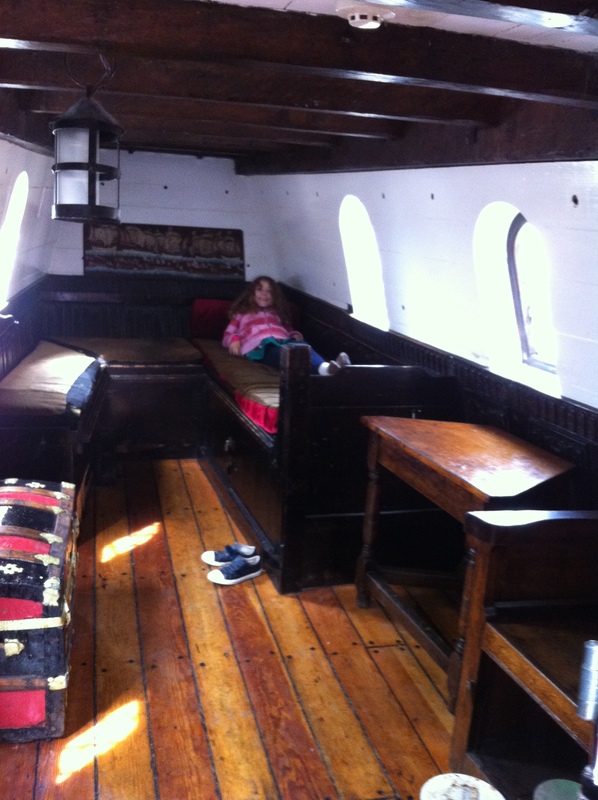 I went into Francis Drake’s cabin and had a bit of a lie down. 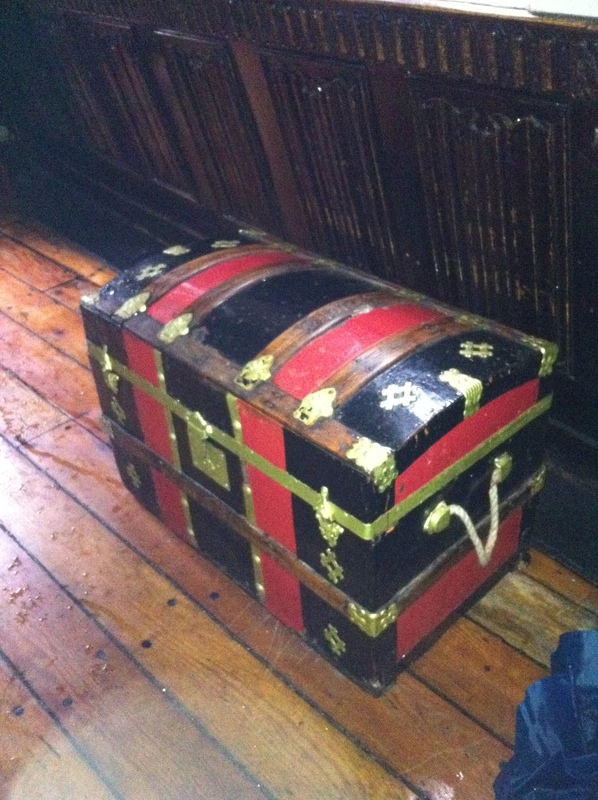 I saw his treasure chest. 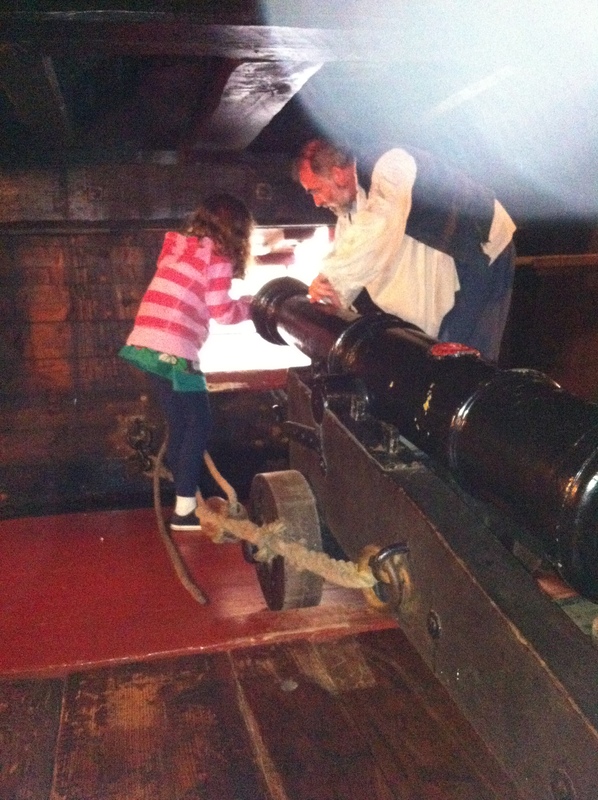 I got to turn the capstan and pull up the anchor and I learnt how to fire a cannon. I had my leg cut off in the surgeon’s room! 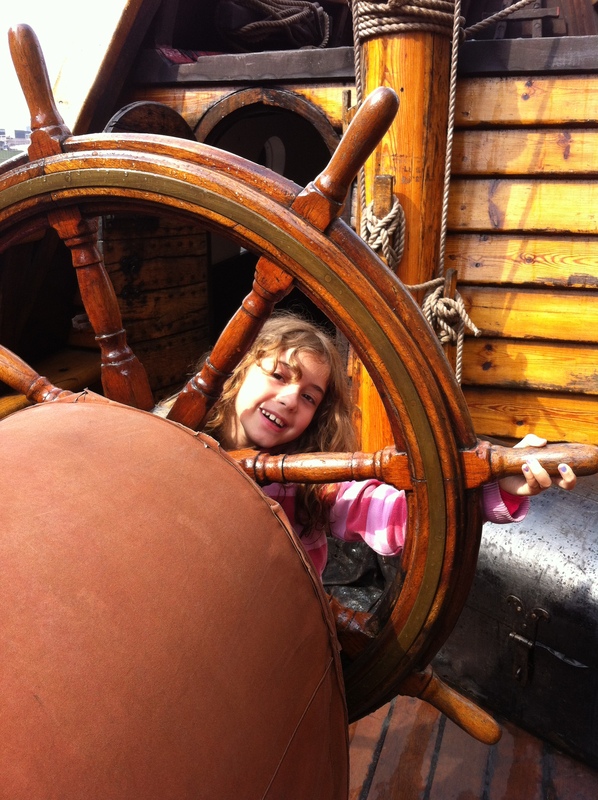 And I got to steer the ship! It was the MOST AWESOME day ever! 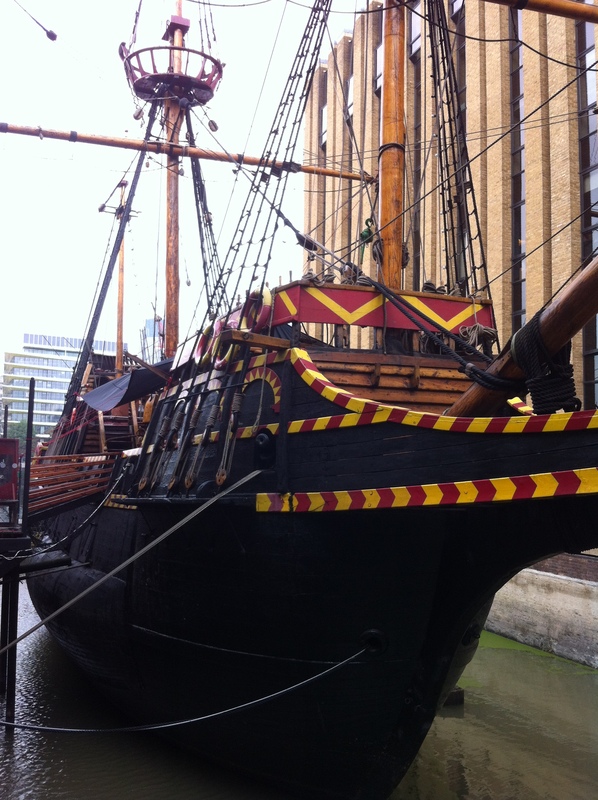 This entry was posted in Day Out and tagged Francis Drake, Golden Hinde, Thames, Tudors. Bookmark the permalink. 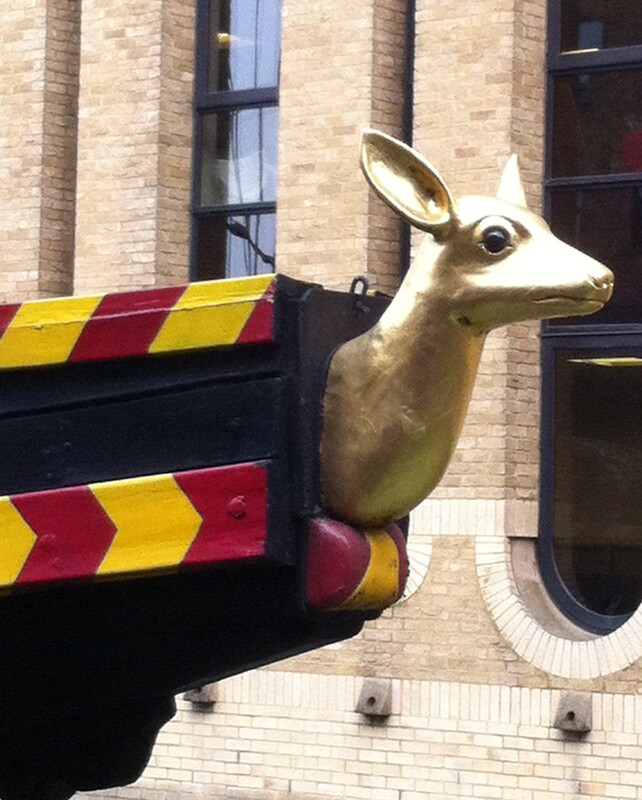 What a fantastic day you had on the Golden Hind. You are so lucky to have a Mummy and Daddy who take you to so many interesting places.